You give them a home. You give them joy. You give them happiness. You give them their Judaism. Your tax deductible gift to the Jewish students at CWRU provides them with thousands of hours of exciting Jewish life each year. 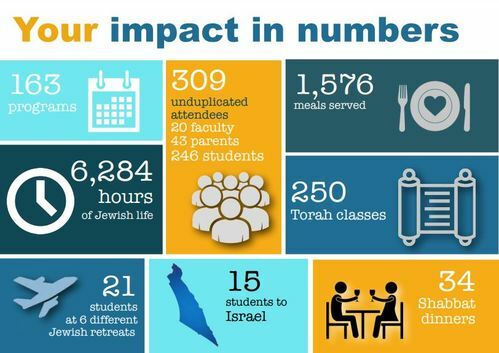 Thank you for believing in the Jewish future!! 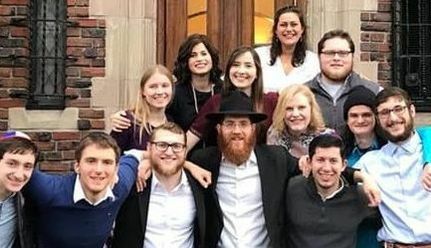 Chabad of University Circle DBA Chabad at CWRU is a not-for-profit corporation and a federally approved 501(c)(3) organization. ​All contributions are tax-deductible up to the full amount allowed by the law. EIN# 80-0878555.